Orson let cameras caress Rita where practicable. Boss-man Cohn inserted more beyond that, acting on no more than conviction that one displays merchandise he's selling. What's probably a record for number of stills taken of a star ... 900 during 28 days ... was established by still lensman Eddie Cronenweth, shooting Rita Hayworth on location in Mexico for Columbia's The Lady From Shanghai, reported Variety in November 1946. Did Cohn dismantle Welles' crazy house highlight (intended to last fifteen minutes) for Hayworth's being absent in that sequence? She was bundled to what male customers thought excess in the famed mirror scene that finished LFM. Lads, seeing that slick chick black gown with the lace top which star wears in newspaper and billboard ads, are solely disappointed when they discover sensational gown is entirely missing in picture, noted trade observers. Welles having lost interest in his wife and leading lady translated too well to conservative way he'd present her in The Lady From Shanghai. Filling gaps would be the lot of Columbia ad staff handed sizzle shy of steak. Euro artists would go them better draping a bare-ly clad Rita in director and co-star's arms for posters (like below) that auction for plenty among collectors today even as they laughably misrepresent content of the film. Orson at least flattered the Lady in having her speak fluent Chinese during climactic reels (wonder who dubbed Rita here). The funhouse frustrates for being cut-off mid-sentence. As Welles screened The Cabinet Of Dr. Caligari in preparation, we can only imagine what his nightmare encompassed over an intended quarter-hour (but again, isn't that a bit much, whatever visual merits?). The Chinese opera was supposed to be longer too. Did Orson forget that a thriller generally speeds pace as it approaches finish line? Wellesian ideas again bore fruit for others later on. Would Doris Day and Rock Hudson have entered their Lover Come Back aquarium had OW not gone there first? The latter's LFS parting line, Everybody Is Somebody's Fool, would ultimately benefit Connie Francis more than Orson Welles, its transition to song almost certainly result of lyricist exposure to The Lady From Shanghai (not unlike Buddy Holly bringing That'll Be The Day away from The Searchers). Columbia tossed LFS to wolves in April 1948 after a year plus gathering cobwebs. 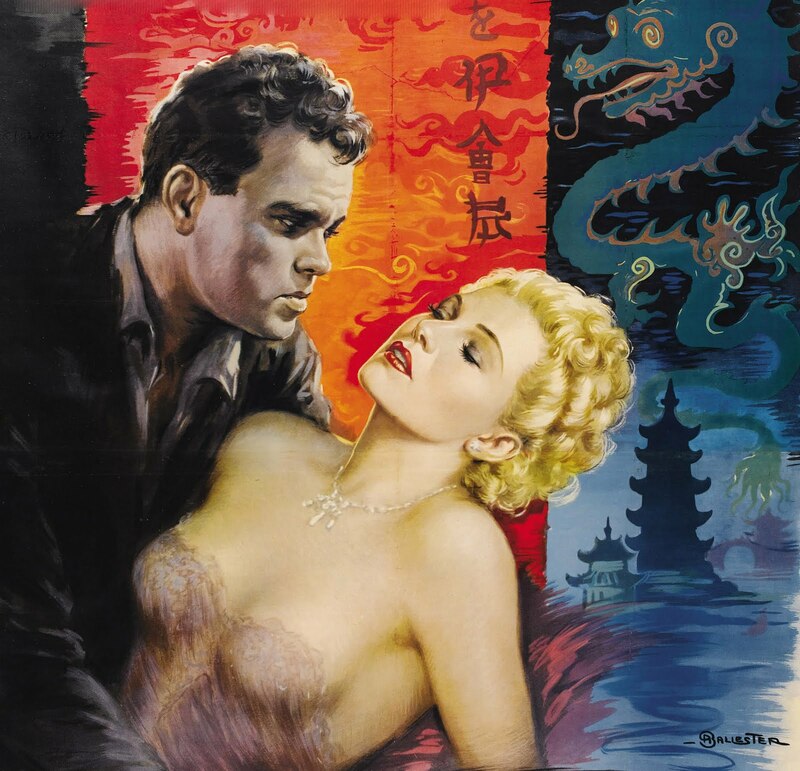 The trade was onto meat spoilage: Columbia's The Lady From Shanghai has been hesitating for months between two endings and hasn't landed yet, said Variety, The lady can't make up her mind. 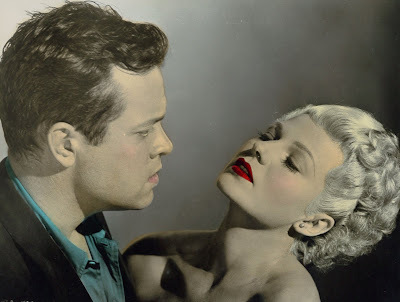 86 minutes the company shipped were less comprehensible than what Welles submitted, yet there was no dumping Rita Hayworth's newest, however poor it was figured to be (over-stylized was Variety's tactful sum-up). 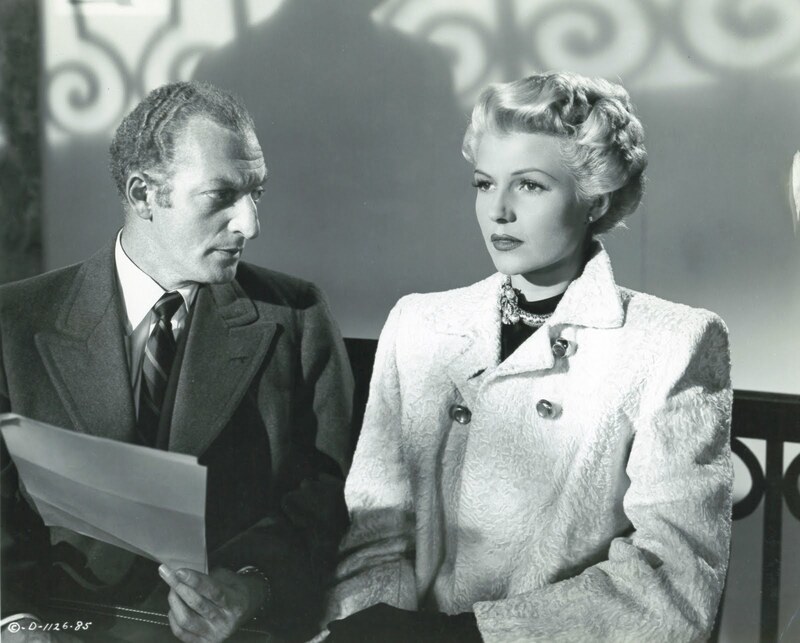 Los Angeles got earliest dates --- at both the Pantages and Hillcrest Theatres, LFS taking a mild $37,300 in its first week (competing The Big Clock grabbed $45,500 down the block). Shanghai's second week dropped to $21,000. There wouldn't be an intended third. That originally hoped for extension, said Variety, saw Pantages-Hillcrest booking instead a reissued pair out of Warners, The Fighting 69th and Valley Of The Giants, these adjudged a safer bet than seven more dispiriting days of The Lady From Shanghai. 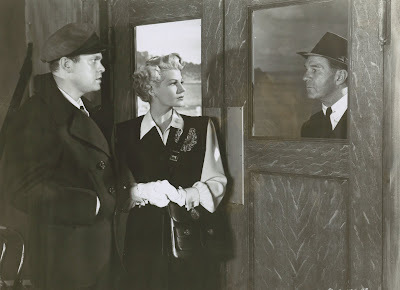 Chicago's State-Lake Theatre backed their first-run with song and vaude to drag The Lady From Shanghai past two hours and hopefully an admission ticket's worth of entertainment. Top-lining Lina Romay was known for having sung with Xavier Cugat's Orchestra, then supporting Clark Gable in 1945's Adventure. This would be her first theatre tour in four years. The Wiere Brothers were comedy vets recently off extended cameo-ing with Bob and Bing in The Road To Rio, a tip-top 1947 grosser. Back in Chicago Jackie Green, a favorite in this city said trade reviewing, did song parodies and mimicked Jolson, Cantor, plus assorted betters. Thus was the State-Lake's a reasonably strong live bill even as they placed it below The Lady From Shanghai in newspaper advertising, this indication that Columbia's feature was regarded the program's top attraction (really big performing names, like Jane Powell or The Andrews Sisters, were routinely placed at the top of ads, with the screen show in a lower "second feature" corner). 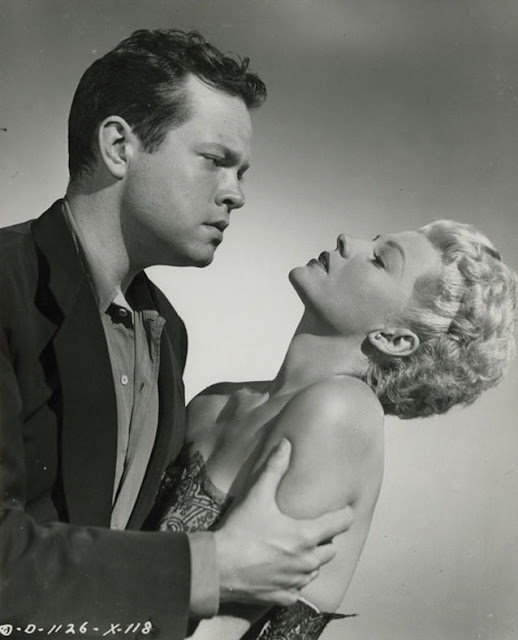 Opening week for The Lady From Shanghai at the State-Lake brought a lean take of $33,000, Chicago's bigger earner The Naked City commanding $40,000 at the Palace. As with Los Angeles, Shanghai croaked after its second week and a mild $24,000. 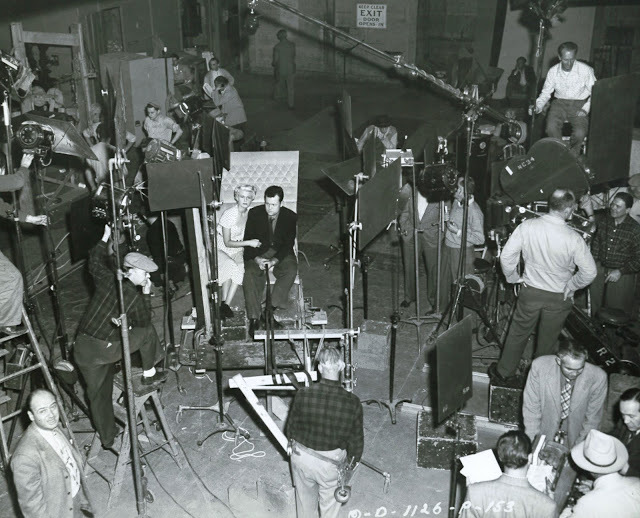 The film would lead New York first-runs during an otherwise slow frame in early May, but according to Variety, was no ball of fire at the Criterion. 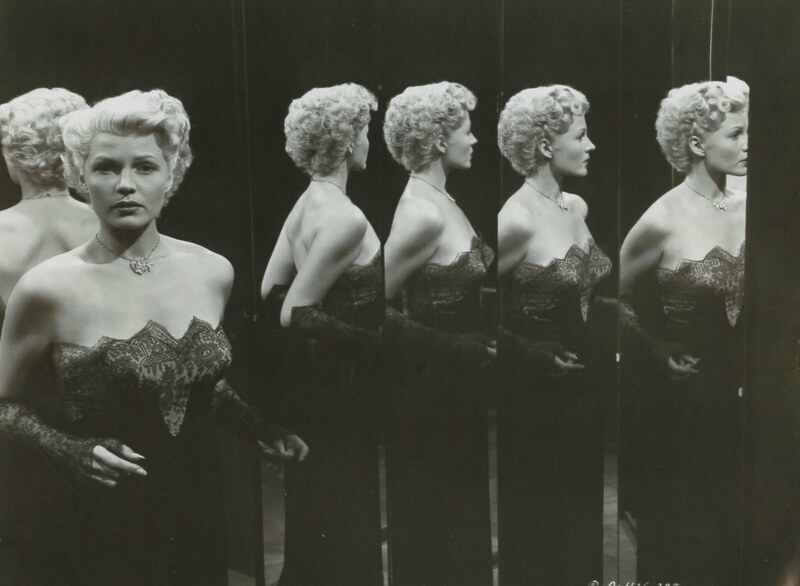 Domestic rentals for The Lady From Shanghai totaled $1.3 million, a big drop from Rita Hayworth returns of late (Gilda at $3.5 million and Down To Earth $2.3). Thanks for all these great pictures and info. When I program this film people walk out extremely excited after having seen it. The same thing with TOUCH OF EVIL. I did not know Welles did post synch.